A lot of engineers, engineerinf companies and contractors trust DeepEX for their shoring design projects! In this section you can review information on some projects designed with DeepEX. 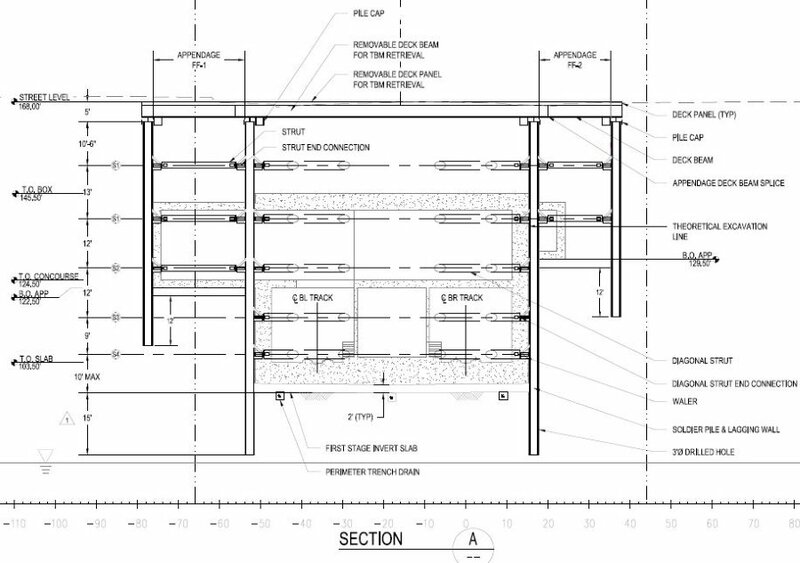 Save time, effort and money in your shoring design projects and gain a competitive edge! 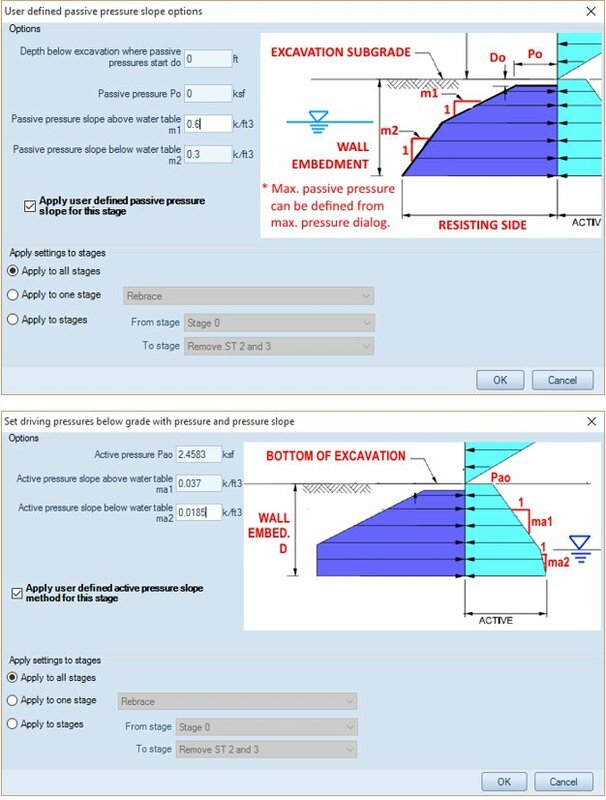 DeepEX is the ultimate software program for the design and analysis of deep excavation projects. It is trusted by more than 1200 engineers and engineering companies worldwide and more than 10000 projects have been designed using DeepEX. This section presents information about some of these projects. Los Angeles underground is expanding and DeepEX is instrumental in getting the city forward. 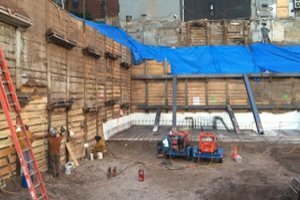 Support of excavation systems for the new subways stations for the Regional Connector and the Purple line expansion projects have been and are designed with DeepEX. 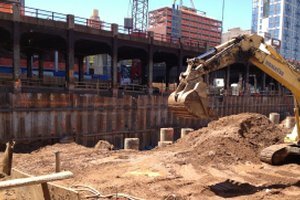 These projects involve excavations of up to 100 ft that require lateral bracing to be designed according to strict specifications. The joint venture by Skanska – Traylor – Shea, with PB&A won contracts for the subway stations. PB&A, based in San Rafael, CA, has been using DeepEX for the last five years. 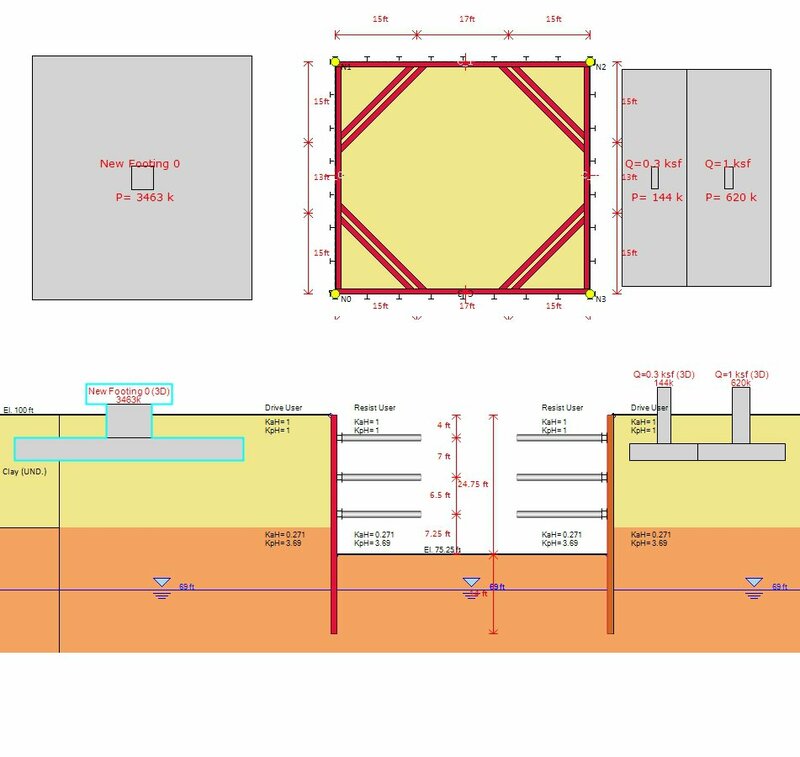 The project presented some challenges in incorporating the specified apparent earth pressure diagrams as well as the specified passive lateral earth pressures. 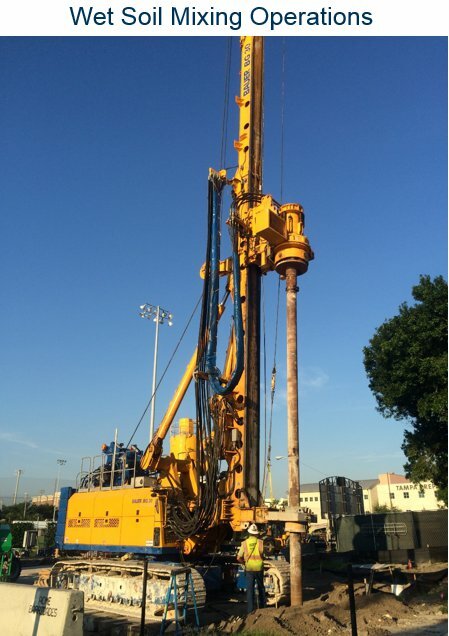 Given the number of conditions that had to be examined, we at Deep Excavation, went into high gear and implemented options that would give the ability to easily match the lateral pressure specifications. Apparent earth pressures were defined as a trapezoidal diagram with a maximum pressure of 24 H in psf, with the top and bottom triangular portions of the pressure diagram set at 20% of H (H= excavation height in ft). The designers (PB&A), with the help of DeepEX, were able to quickly model all construction stages and determine the most critical conditions. This included not only the final excavation but also the construction stages after the permanent station walls are constructed and struts are removed. The Regional Connector Transit Corridor is an under construction light rail subway corridor through Downtown Los Angeles to connect the Blue and Expo Lines to the current Gold Line and Union Station. 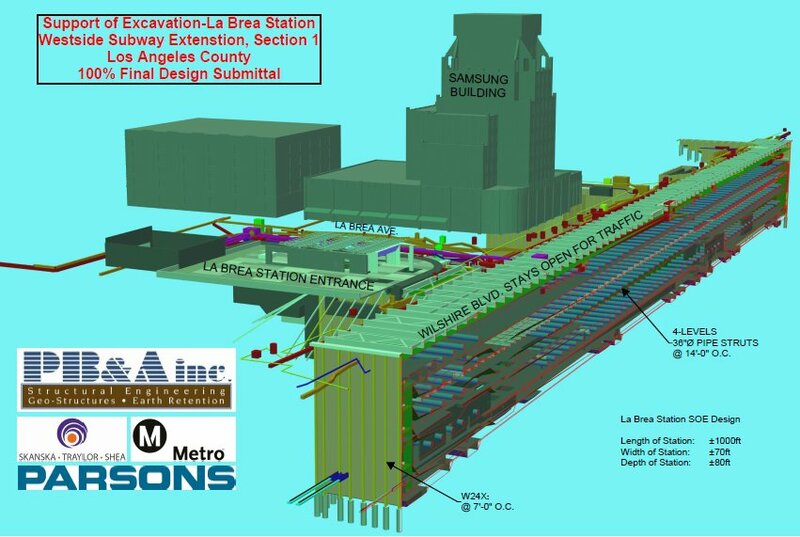 When completed, the connector will become part of the Los Angeles County Metro Rail System. The project is being implemented by the Los Angeles County Metropolitan Transportation Authority (Metro). 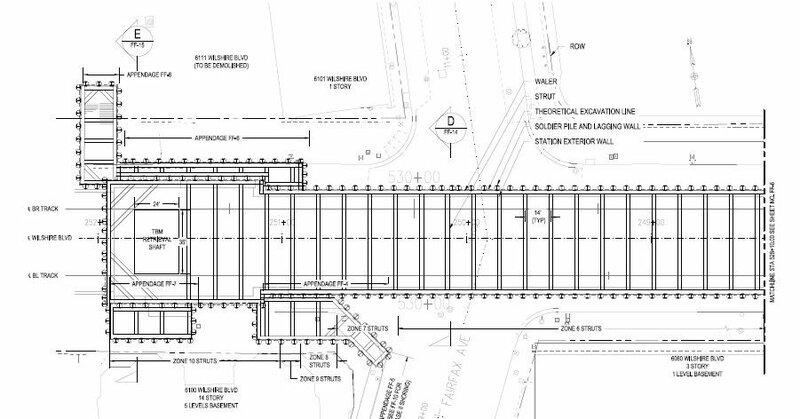 The long-awaited Metro Purple Line Subway Extension is now under construction. From the current terminus at Wilshire/Western, the Purple Line Extension will extend westward for about nine miles with seven new stations. It will provide a high-capacity, high-speed, dependable alternative for those traveling to and from LA’s “second downtown,” including destinations such as Miracle Mile, Beverly Hills, Century City and Westwood. 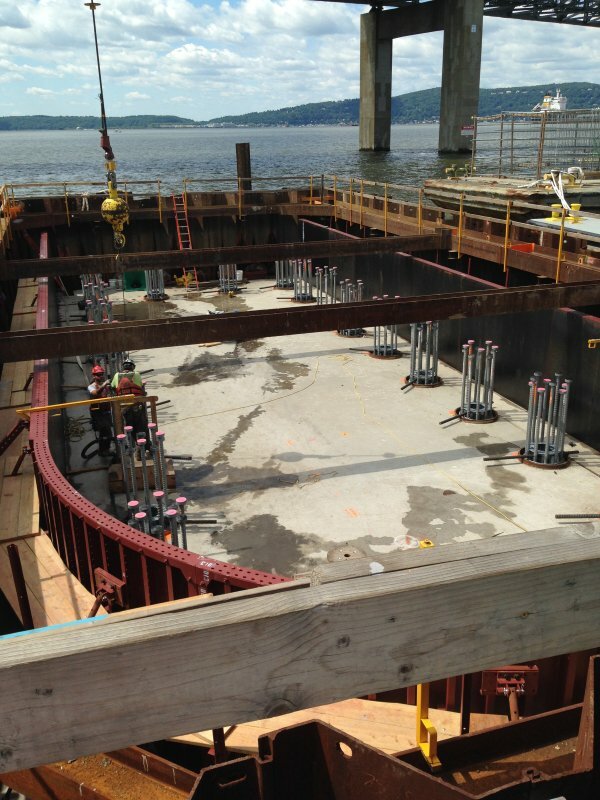 Construction of the $3.9 billion new Tapan Zee Bridge in New York required that cofferdams are constructed inside the Hudson river. 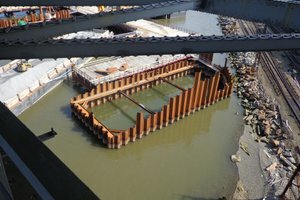 Siefert Associates (siefertassociates.com) designed the cofferdams using our DeepEX deep excavation software. The soils at the river consist of soft organic clays, and silts. 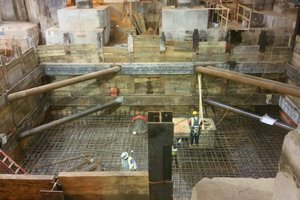 The cofferdams were 90x45ft and were modeled using two opposite walls in DeepEX supported by one level of struts. 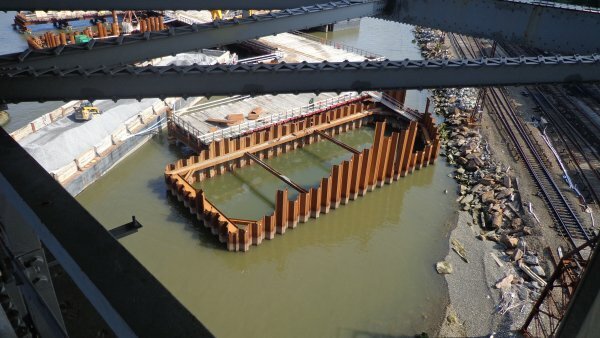 The construction involved backfilling over the soft deposits to raise the grade as well as dewatering inside the cofferdam to create the pile cap for the new bridge piers. We want to thank Andrew Baumer, E.I.T and Principal Mr. Vincent Siefert, P.E. for sharing these photos. In many cases one might have to backfill over soft soil and carry a heavy load (such as a railway). 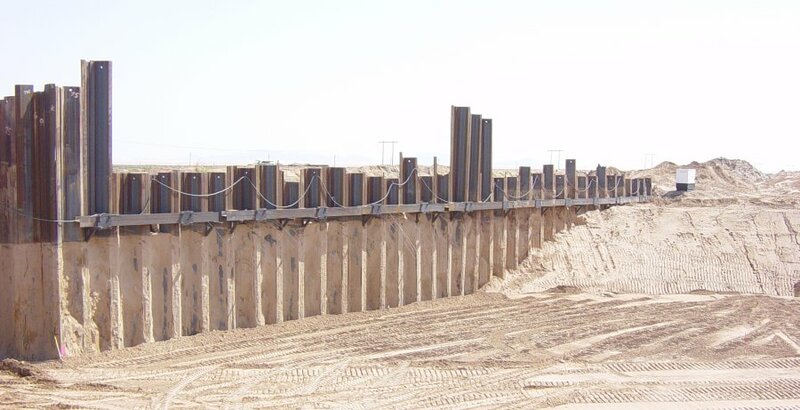 One approach to stabilizing such a retaining wall is to construct a soldier pile wall system and fill the space behind the soldier pile wall with structural backfill. 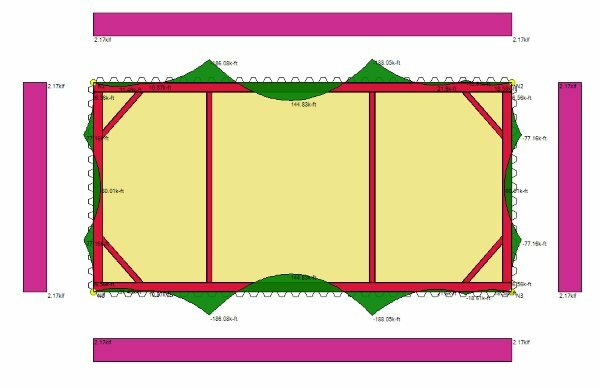 The density of the structural backfill would be in the order of 120 to 125 pcf (19 kN/m3), and will exert a considerable load on the soldier pile system especially if compaction is carried out. 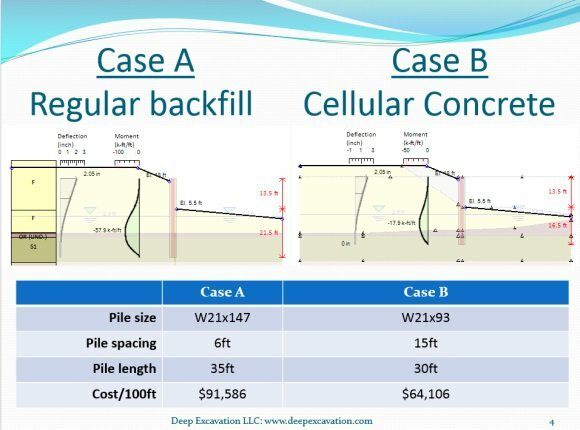 One way to create significant savings is to replace the structural backfill with cellular concrete. 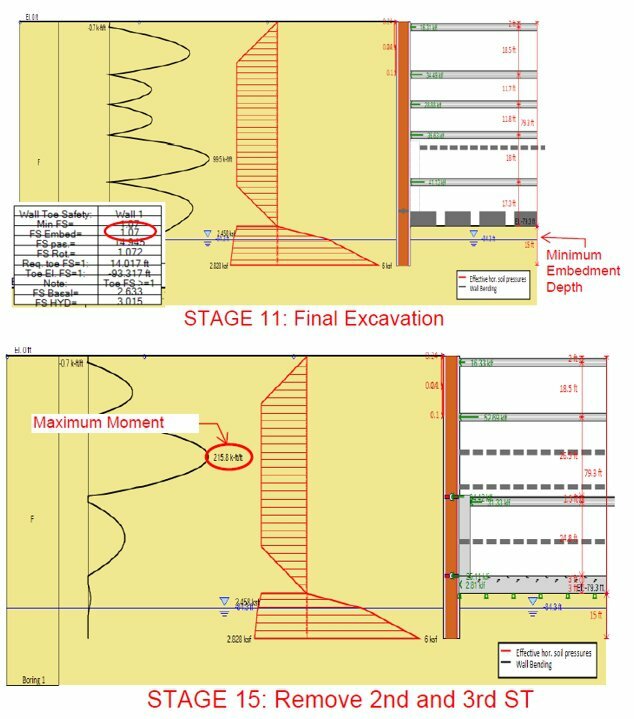 One such case was examined with DeepXcav, where the pile spacing could be increased from 6ft to 15 ft and savings in the order of 30% could be realized. Switching to cellular concrete would be more beneficial when the length of retaining wall is greater and mobilization costs form a smaller part of the total project cost. The following figure presents the basic results of our analyses: Case A) presents conditions without the cellular concrete, while Case B) presents conditions where cellular concrete is introduced. 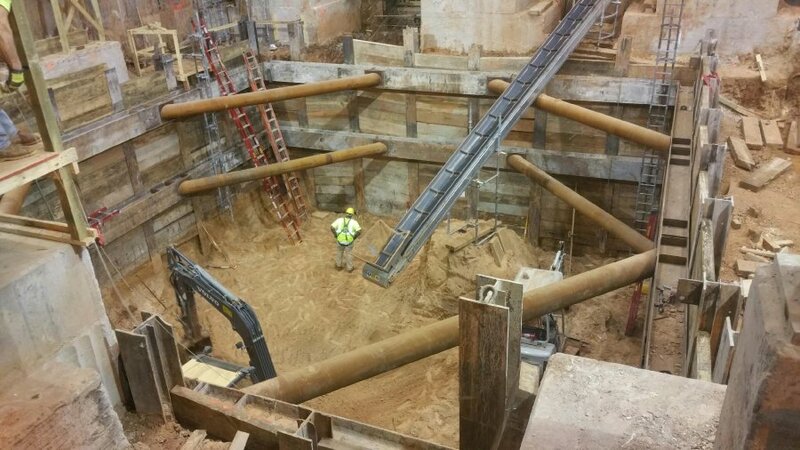 An industrial facility in Arkansas required the excavation of two pits for expanding equipment. Both excavations are located inside the functioning industrial facility, with equipment operating above the pits. 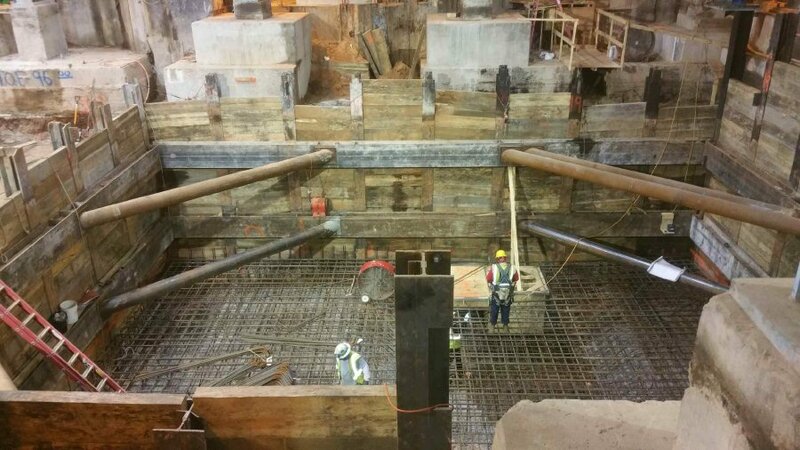 Each pit is designed 24 ft deep and 45 ft to 48 ft square. 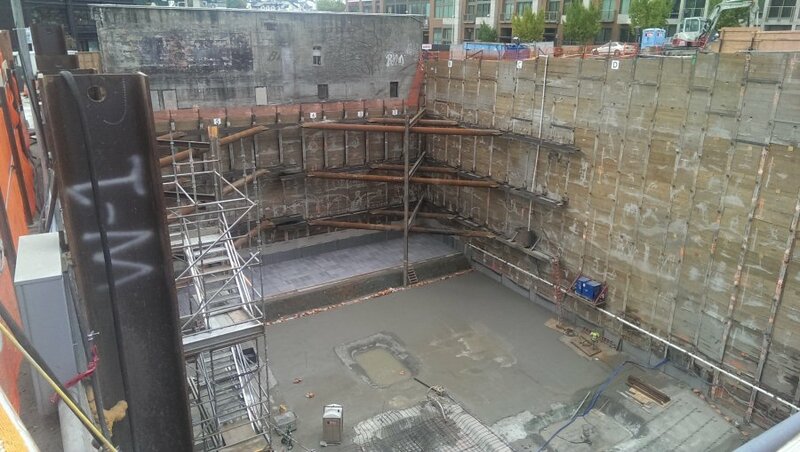 Adjacent building columns are supported on 170 kip capacity micropiles installed by PLI Systems, Portland, OR. 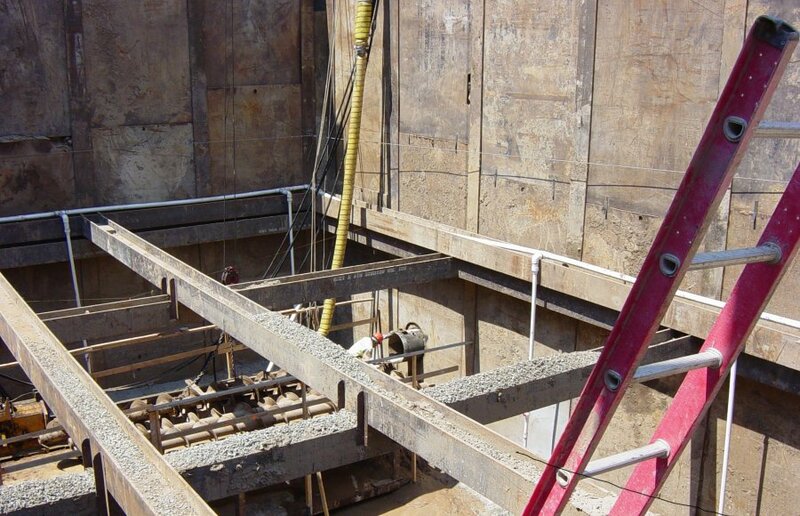 DeepEx was used to design the entire shoring system. One side of one pit required one level of double 12 in. 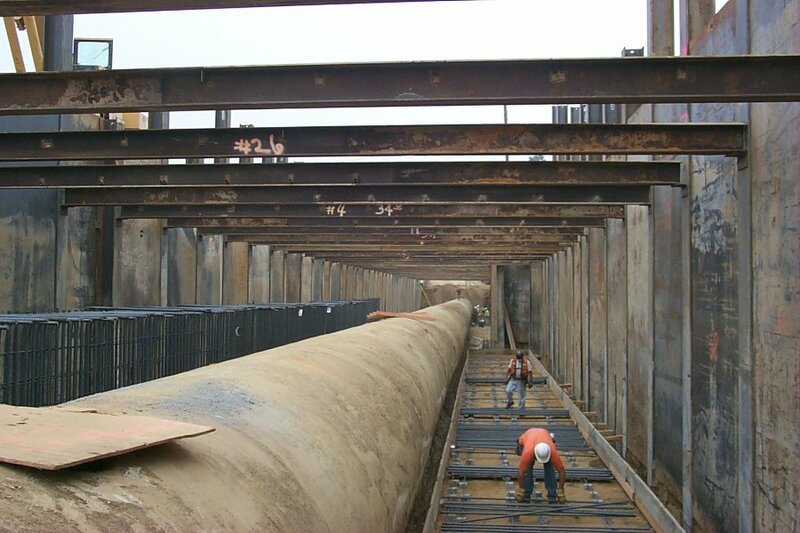 diameter pipe struts to resist the horizontal surcharge imposed by a large machine foundation. 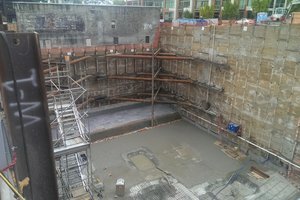 Both pits were designed with DeepEX by Alder Geotechnical, Portland, OR and with consulting assistance and review by Deep Excavation. 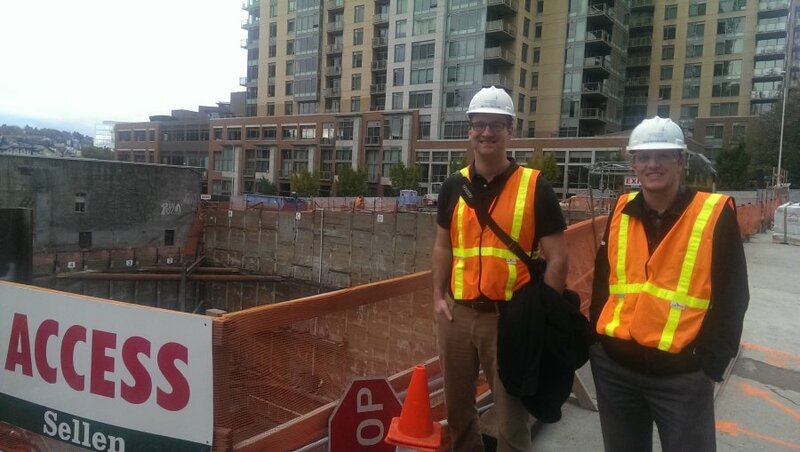 MKA, in Seattle, has been using DeepEX since 2011 to design deep excavations. 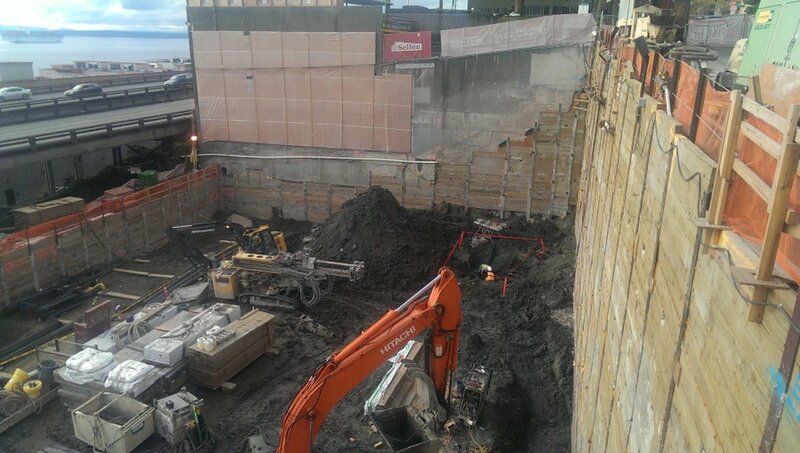 Today we are focusing on two deep excavations they have designed in downtown Seattle, a 50ft deep excavation at Pike Place Market and an 80ft excavation at 9th and Lenora. Thanks to Zach Mendelsohn. P.E. and Michael Gottlier, for arranging site visits. Check out some nice images from both sites here. - Soils were medium to stiff silts and lean clay. 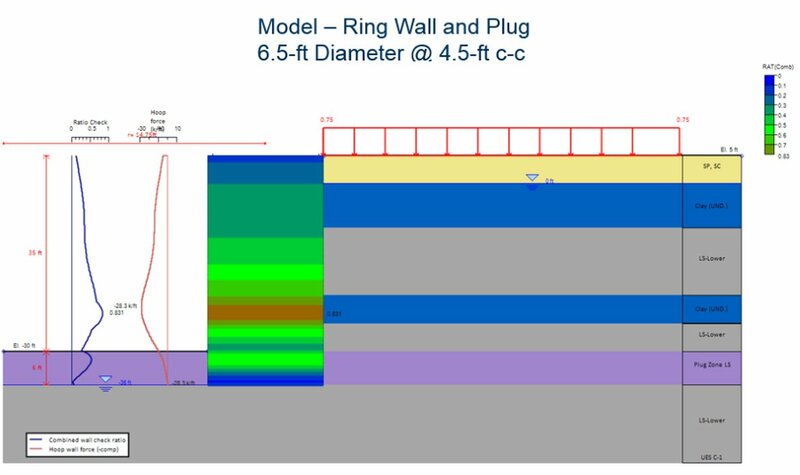 Both walls are performing well with pile deflections in the 0.25 to 0.5-inch range. The site is just west of downtown Tampa, on the Hillsborough River. A new 48” diameter water main is to be installed by micro-tunneling under the river. On the west bank, there are alternating layers of sand, cherty limestone, and clay. 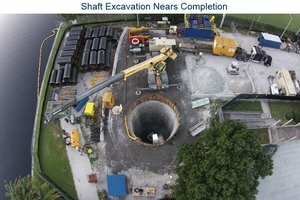 Hayward Baker used DeepEx to design a combination earth retention and bottom plug system for the tunnel launch shaft that required excavating ~37-ft deep. 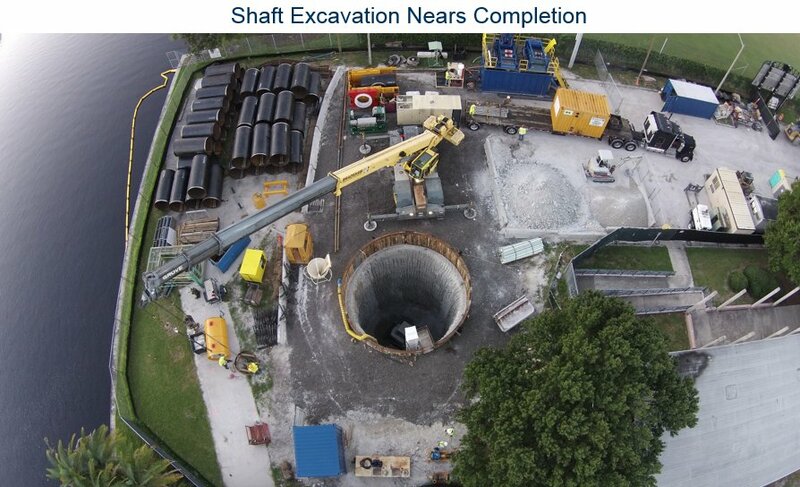 The system was comprised of overlapping 6.5-ft diameter wet soil mix columns in a compression ring around the perimeter (unreinforced), and through a 6 to 8 ft thick targeted zone inside the ring (for the bottom plug). DeepEX considers both installation tolerances and overalps to perform checks for the unreinforced soil mix section. The DeepEX stress checks consider both the tensile and compressive strength of the mix. The mixing and excavation were successful. 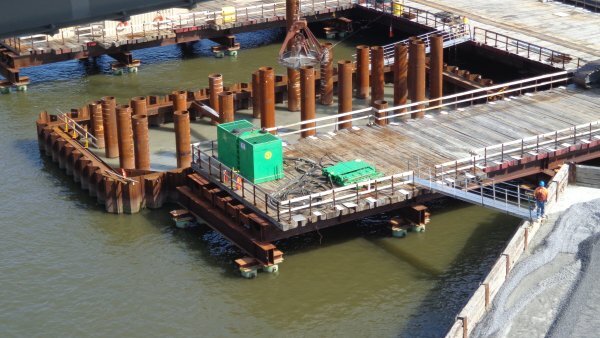 No dewatering was required. The tunneling has been completed. Please contact Tanner Blackburn, Ph.D., P.E. at for more details (e-mail: jtblackburn@haywardbaker.com).